Beautiful landscaped yard with a full front porch to enjoy! One story, 2 bedroom, 2 bath home in the gated community of The Elms. This is a 55+, very active adult only community. Close to shopping, medical facilities and restaurants. Nice private courtyard with screened in porch. Wood flooring in the foyer, huge family room with cathedral ceilings. Large formal dining room, and eat-in kitchen with plenty of cabinet and counter space. Separate laundry room. 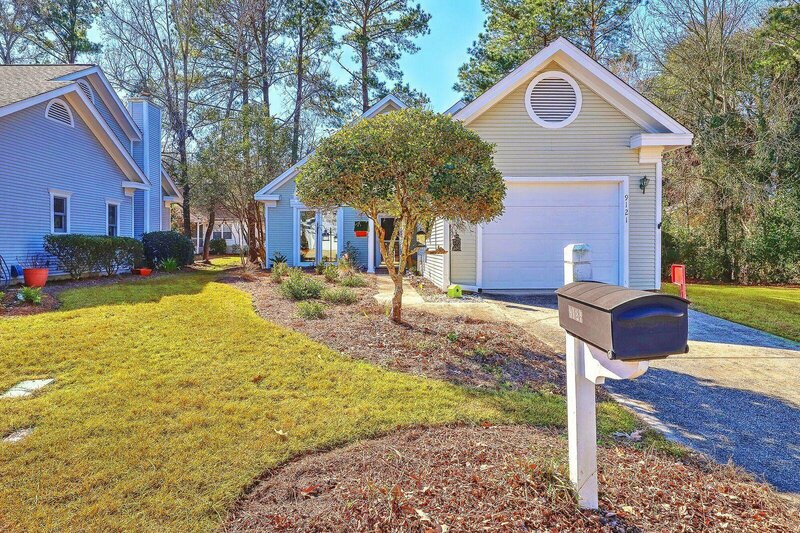 Come see this home that sits in a cul-de-sac for extra privacy.